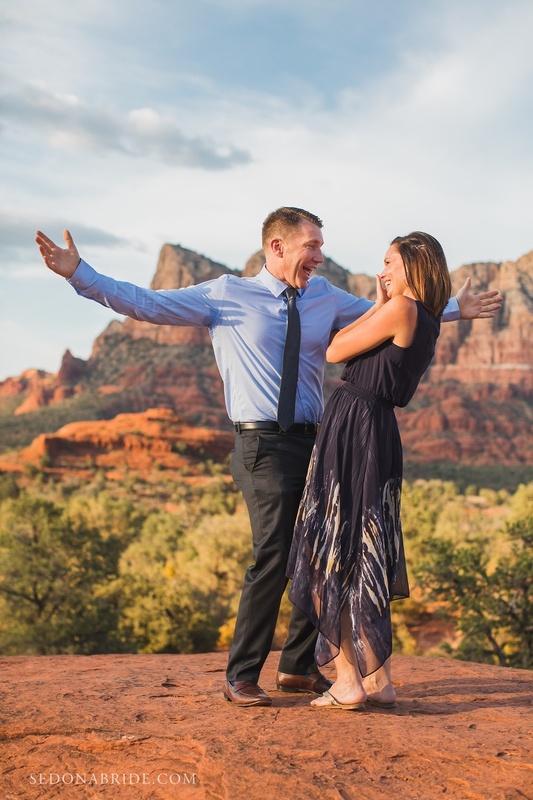 Best elopement locations in Sedona! 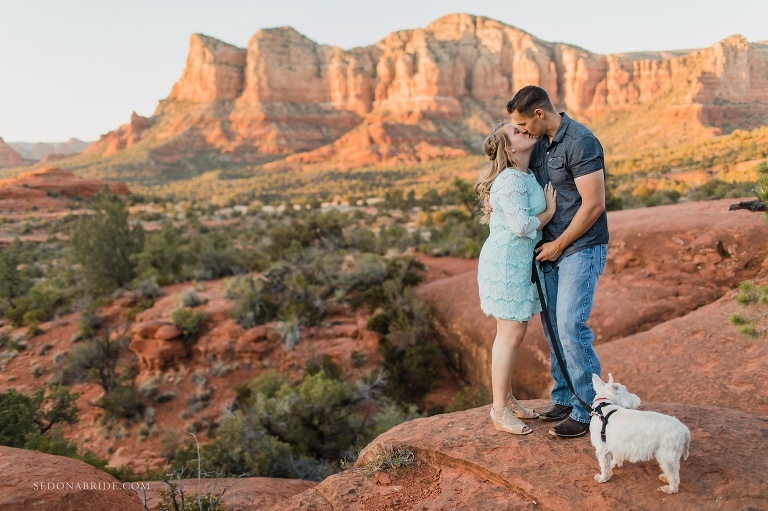 Planning a Sedona wedding or engagement session in Sedona and not sure where to have your photos taken? 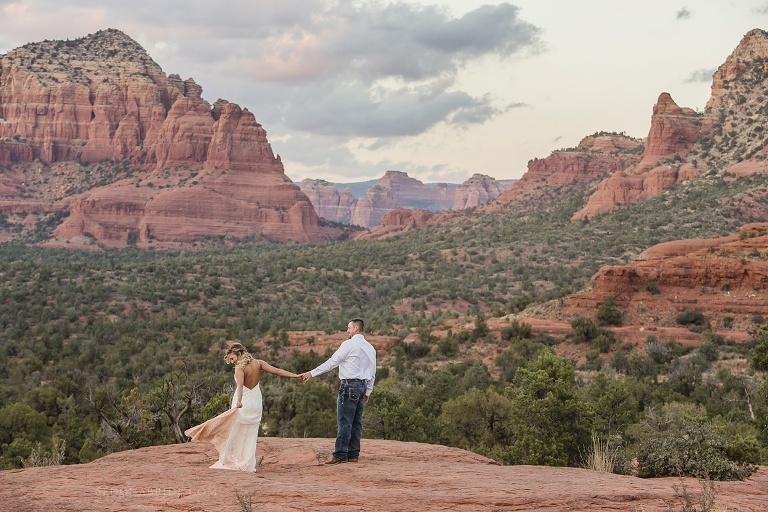 Below is our list of the best elopement locations in Sedona. This is our guide to easy access locations which makes it easy for older guests to attend or even just great locations for those of you that are wanting a beautiful backdrop for your wedding or engagement session but don’t want to hike in your dress. Bell Rock is by far the most popular choice by couples. It’s a short 5 – 10 minute walk off the parking lot to gorgeous 360 degree red rock vista views. There are several access points to Bell Rock with different red rock views. Locals tip … the parking lot here can fill up quickly. As with all elopements, we recommend a weekday time to plan your wedding or photo shoot. See more Sedona wedding photos and engagement photos at Bell Rock at our website here. The north side of Cathedral Rock is another beautiful location. While the top of Cathedral is now Instagram famous and very popular with hikers it’s quite a serious hike to get to the top of Cathedral. The base of Cathedra has beautiful views as well and only requires about a 10-15 minute hike on a fairly easy trail. For couples wanting that iconic Cathedral Rock formation and the lush green of Oak Creek, Red Rock Crossing provides the perfect location. It’s a state park so you will need to talk with your officiant or wedding planner or directly with the park to reserve a time slot for weddings there. There is a paved sidewalk close to the parking lot which makes it very easy for couples and guests to attend small intimate weddings at Red Rock Crossing. For those of you planning a true elopement, there are more private little spots we can guide you to. Red Rock Crossing is also known at Crescent Moon Ranch. Locals tip … there is plenty of parking at this location but weekends are very busy. Weekdays are best to avoid the crowds. This spot really beautiful which is why it’s one of the best elopement locations in Sedona. 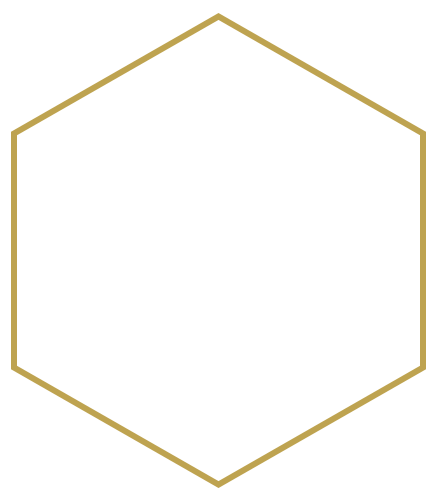 As with most locations there are several entry points and because of the large area it encompasses there are several locations for wedding ceremonies and romantic portraits. Let us know if you have questions and we can help guide you to the best location for your wedding ceremony or portrait session. See more photos from weddings at Red Rock Crossing on our Sedona elopement locations page. This outdoor location has 360 degree views and is centrally located making it an elopement location in Sedona. We even take couples who have larger weddings at near by resorts to this location for their wedding photos on the red rocks because it’s so easy to get to and really beautiful. There is usually plenty of parking and different levels of access to several locations ideal for small elopements. From a very easy flat walk to a little bit of uneven walking out on the rocks this location has a few options for spots with a variety of red rock backdrops. There are many other stunning outdoor red rock spots at resorts like L’Auberge and Orchard Canyon. 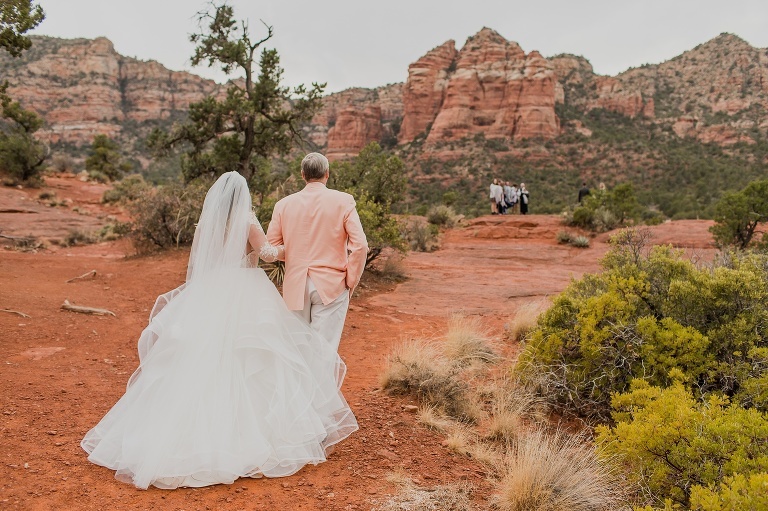 And if you are up for an adventure via a longer hike or a Jeep tour, locations like Merry Go Round, Broken Arrow, and the top of Cathedral Rock are also really beautiful and would easily make our list for the best elopement locations in Sedona. Let us know and we’d be happy to guide you to the best location for amazing wedding photos out on the red rocks.